This trip was designed to visit as many ancient sites as possible allowing time to film at every one in a documentary film making project, it was a great trip and one which inspired the formation of The Modern Explorers. 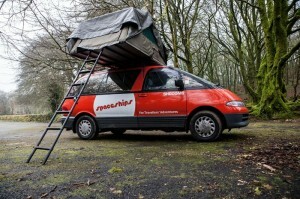 We hired a van with a tent on the roof and started close to London by filming at the Waylands Smithy long barrow before spending a couple of days visiting some stone circles on our way up to the Orkney Islands. 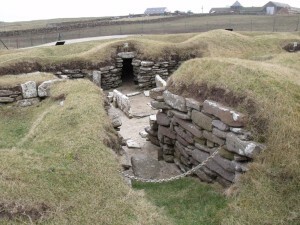 We took the ferry to the island and visited some really mysterious sites in the village of Skara brae and the Brodgar ring. 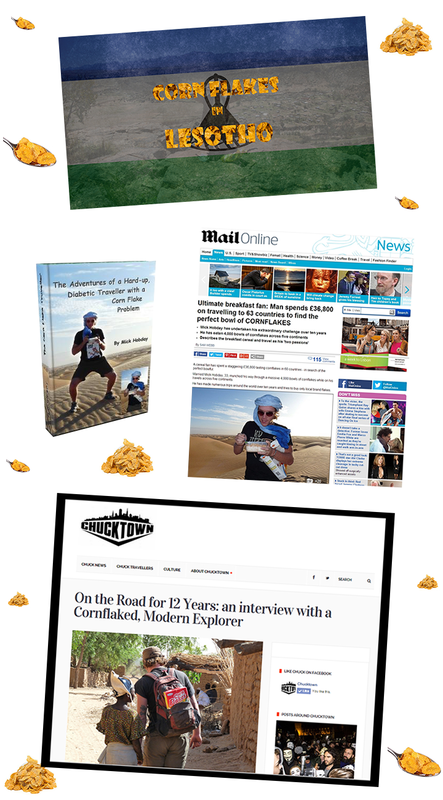 Once back on the mainland we drove from one tip of the U.K to the other visiting sites along the way and spent 4 days videoing in the South West of England before finishing back in London. 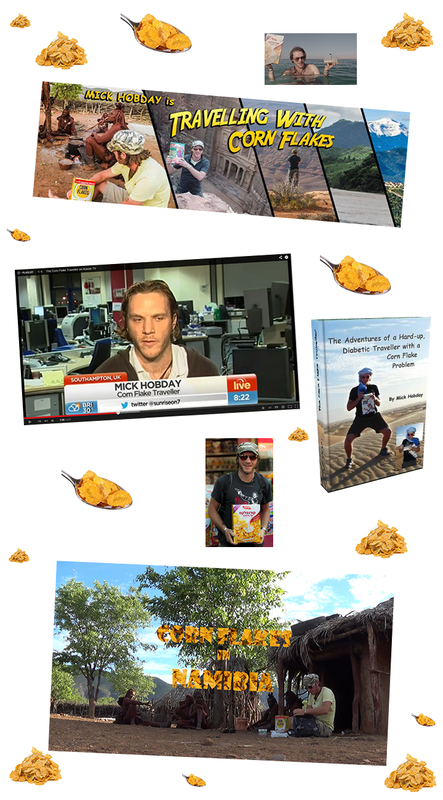 We did a lot of driving, filming, walking, chilling and we saw a great diversity in the megalithic sites. 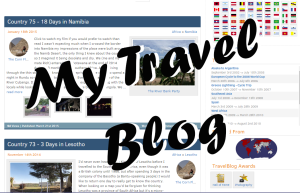 Below are details of some of the sites we visited. 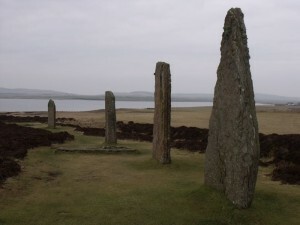 Brodgar Ring is a huge stone circle, 104m in diameter, located between two lochs on the beautiful Orkney Islands off the North coast of Scotland. East Aquhorthies is an example of a recumbent stone circle in the Aberdeenshire area with a 9 ton recumbent stone that is lying on its side. There are around 100 other recumbent circles close to this one. 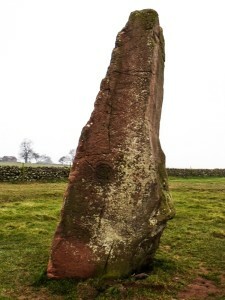 Long Meg and Her Daughters are set in Cumbria Long Meg is a standing stone (described below) and sits next to Her Daughters which form a flattened oval circle (100m x 93m) consisting of around 60 stones. 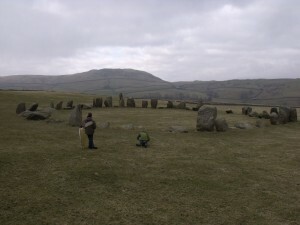 Swinside and Castlerigg are both in the lake District and interesting because they appear to be on the Belinus ley line and have other features to their structures. The Rollright Stones consists of a stone circle made from limestone stones and also a cairn, some barrows and standing stones close by. Interesting that there are so many stories attached to the Rollright stones. 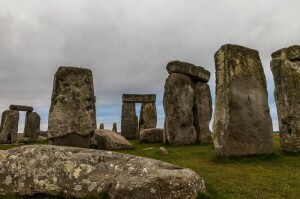 The Hurlers is a site on Bodmin Moor (South West of England) with 3 stone circles close together, these circles are located directly on the St Michael’s Ley line and there have been suggestions also that the circles are astronomically aligned with the Orion’s Belt. 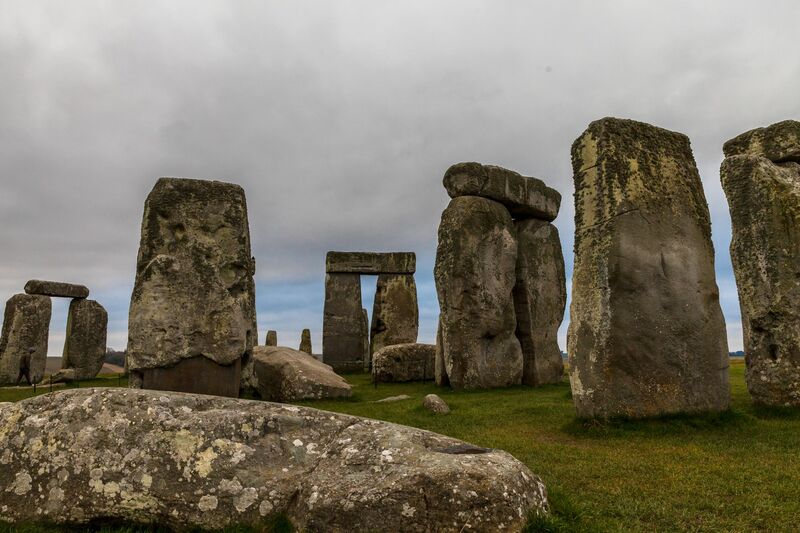 Stonehenge – how could we not go to Stonehenge, we paid double the price to be able to visit the circle before it opened and to go within touching distance of the stones. 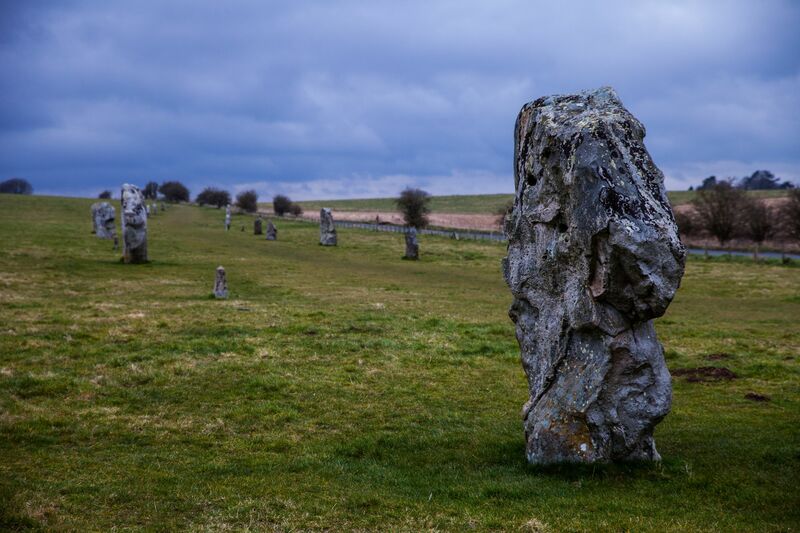 The Avebury Complex is one of my favourite sites for so many reasons. Namely the size of the larger stone circle and the stones that make it but also the presence of a corridor, Silbury hill and the West Kennett Long Barrow. West Kennet Long Barrow – This is one of Britain’s biggest chambered long barrows about half a mile to the west of Silbury Hill (both part of the Avebury complex). It is more than 100m long and 2.4m high, lying in an East – West orientation, with a 10m long interior made up of a corridor and 5 rooms/chambers. The largest stone at the front of the long barrow is huge, 3 metres tall and we would guess around 15 tonnes. 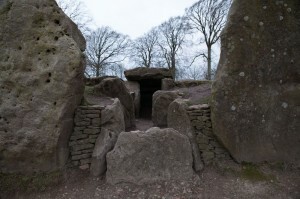 Wayland’s Smithy – A Long Barrow in Oxfordshire, which we visited due to its proximity to the Uffington White Horse. It is 55m in length and ranges from 8m to 15m wide forming a trapezoidal shape. Inside there are three small chambers, one main one and two to the sides, if they were rooms they were built for children or hobbits. 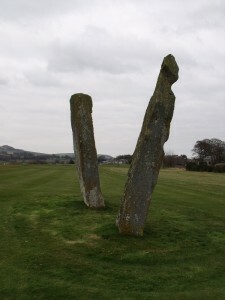 Lundin Links – Three tall standing stones situated on the fairway of a Golf course, they stand forming a large triangle, although it is claimed that there is a stone missing and that the three tall stones used to stand in a large rectangular arrangement. 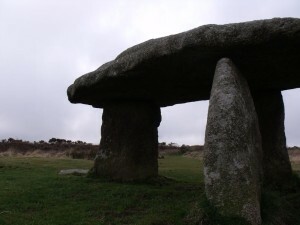 Chun Quoit / Dolmen – If this dolmen was a tomb it was for very small people. 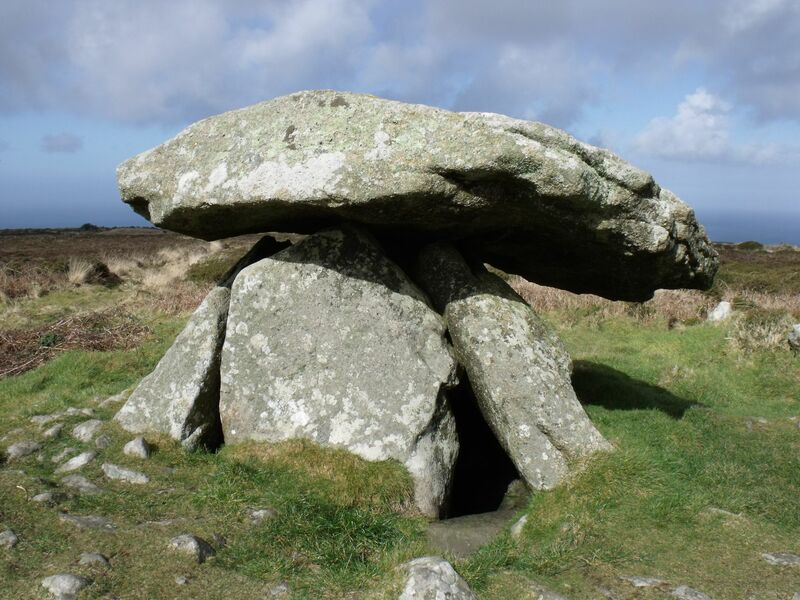 Lanyon Quoit is a tall dolmen standing at around 2 metres with a 2.7m x 5.3m capstone weighing approx. 13.5 tonnes. 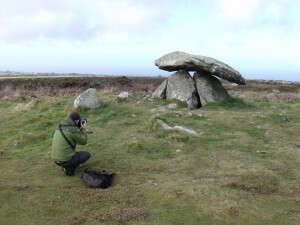 Trethevy Quoit is a huge and beautiful structure we visited as it looks like a sculpture. 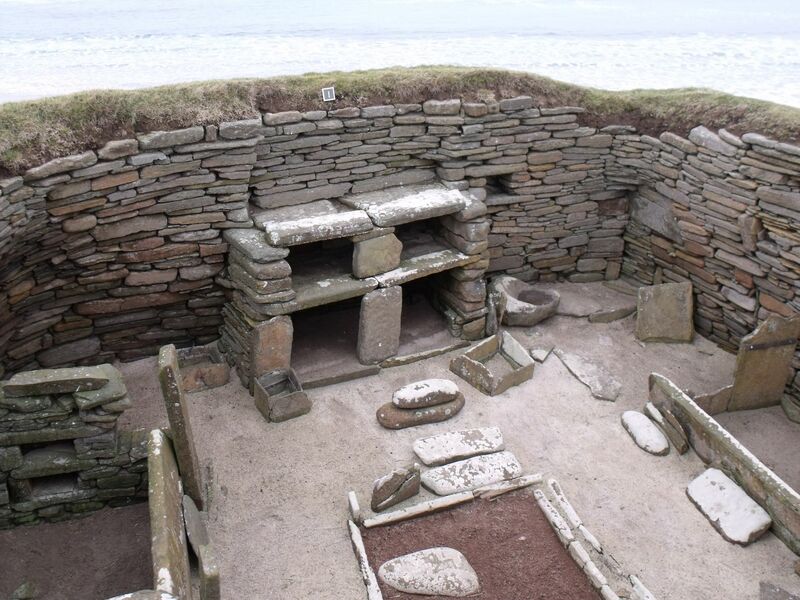 Skara Brae – A large well-preserved stone-built Neolithic Settlement on the Orkney islands, we visited as there are few sites in the world that are so obviously dwellings. 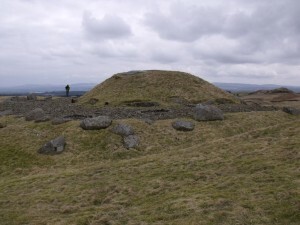 Cairnpapple Hill – quite a strange structure about 30m in diameter, it kind of looks like a flying saucer landed and grass grew on top of it. 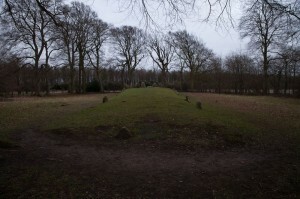 There is a central mound with Stones inside, an area circling the mound with holes dug into the ground and then there is a ditch surrounding the structure. A fascinating place. 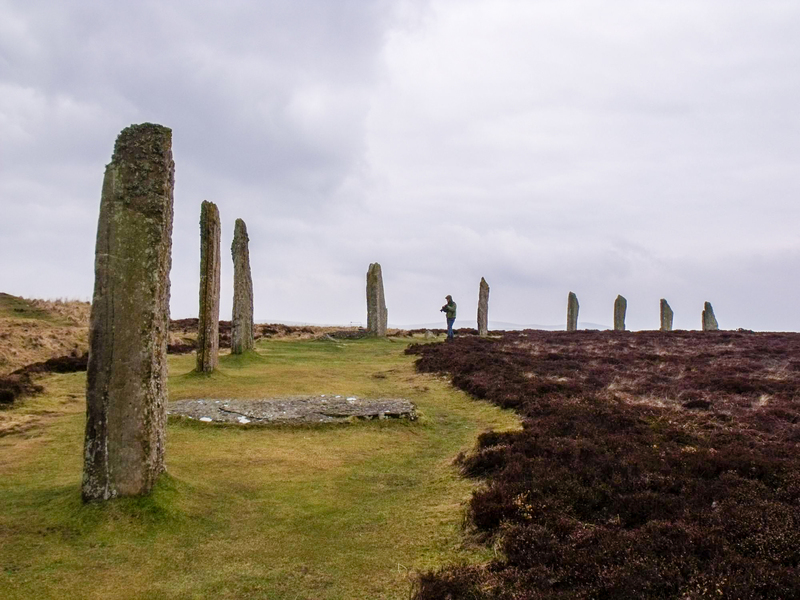 Quarrys – We visited a quarry on the Orkney islands that is believed to be where the Brodgar ring stones were taken from and we stopped at a pile of rocks that stood out in the landscape near Landsend and certainly looked like an artificial structure. Brentnor – There are many churches called St Michael’s which are curiously located along the St Michael’s Ley line, we visited this site because this one is on top of a mound (like those at Glastonbury and ‘Burrowbridge Mump’). 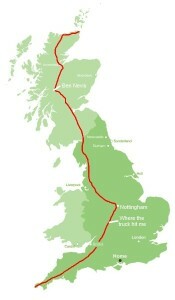 The existence of St Michael’s churches along the St Michael’s Ley Line suggests that these energy lines are important and that the church builders had the same knowledge that the ancient civilisation before us had i.e. they knew how to use and manipulate these energies. This is just a sample of the sites in the U.K, we fully intend to plan more trips to document more of the beautiful monuments remaining in the British countryside.